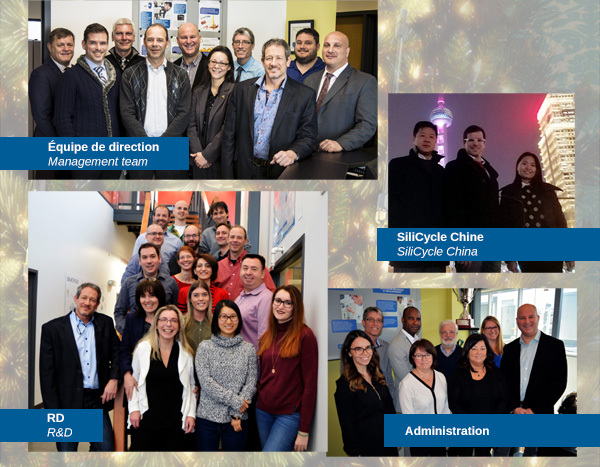 Hugo St-Laurent & the whole SiliCycle team wish you Happy Holidays! Total Océan in the Magdalen Islands producing refined oils concentrated in Omega 3.
Financing and start-up of Mirapakon, our subsidiary specializing in coatings, surface treatment. Financing and start-up of Total Océan, our sister company specializing in the extraction of molecules of interest from the sea. Successful implementation of an ERP system without cost overruns and on time. Launch of the E-PAK purification product line used by pharmaceutical companies in line at the reactor outlet. In order to maximize the growth of our sales in China where we have been active since 2002, start-up of our legal activities in China via a holding company in Hong Kong and a WOFE in Shanghai where our offices harbor a team of people dedicated to sales and technical support. Start of our marketing in the cosmetics market with the in silica technology, particularly with sequestered retinol. First prize of 1.3 Million at the Prima Mitact Canadian Award, in collaboration with the University of Quebec at Chicoutimi, recognizing the exceptional innovation in medicine of the in silica technology that allows the sequestration of active ingredients. This will lead to the creation in 2018 of Pharma in silica, a company of which SiliCycle will be the majority shareholder. Historical recipient of the First SMB Award as the Export Champion at the Canada-Europe Economic Excellence Gala. And the best! 2018 will be even better !!! 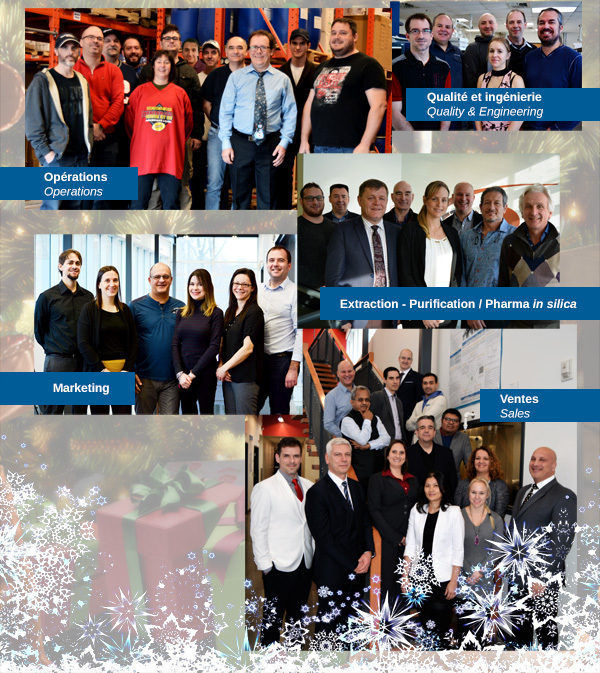 It's a pumped-up SiliCycle team wishing you a Happy Holiday Season and a great year 2018 full of health, of love and filled with beautiful challenges.